Dr. Roy learned the art of Sleep Medicine under one of the leading researchers and pioneers in Sleep Medicine, who happens to be an ENT surgeon. 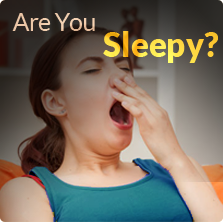 Unlike most sleep physicians, Dr. Roy learned the true necessity of surgery in the treatment of sleep apnea. Dr. Roy performs his physical exams on sleep patients sculpted from an ENT’s perspective to aid him with the diagnosis and treatment of sleep disorders. Even though surgery is the first-line therapy for the treatment of Pediatric Sleep Apnea, this is not true for adults. However, Dr. Roy works very closely with ENT surgeons in the North Alabama area to aid in therapy for certain patients’ sleep disorders. It has been suggested that up to 30% of all tonsillectomies are possibly unnecessary. 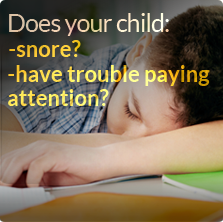 Since many children with sleep apnea don’t stop breathing, the severity of a child’s sleep apnea is usually not appreciated prior to surgery. A sleep study can identify children at high risk for complications immediately following surgery. For example, removing the breathing tube placed during surgery in a child with undiagnosed sleep apnea can be extremely dangerous. Once the tube is removed, these kids may not be able to get enough air AND they are still groggy from their anesthesia. This is a recipe for disaster. If symptoms of sleep apnea persist following upper airway surgery and a sleep study isn’t performed prior to surgery, it will not be known how much better or worse a child’s sleep apnea is when compared to prior to surgery. In those kids, even mild sleep apnea will require CPAP, as opposed to possibly “watchful waiting”.